Summer holidays. They’re fun, but costly. The average family of four spends £2000-£3000 every year. And with prices soaring during the school holidays, it’s no surprise that the debate about term time holidays rumbles on. We’re big fans of self catering abroad. As well as being cost effective, we find it easier to manage with young kids in tow. While there are plenty of cheap flight options the rest of the year, unsurprisingly these tend to disappear during peak school holiday season. When I started looking at flight options for this year’s holiday to Cyprus, I was shocked. I thought if I booked early enough it might be possible to pick up a bargain. Yet when I checked Ryanair’s flight prices a mere 11 months before we wanted to fly, I was shocked. £1500 to fly all four of us to Cyprus. What?! 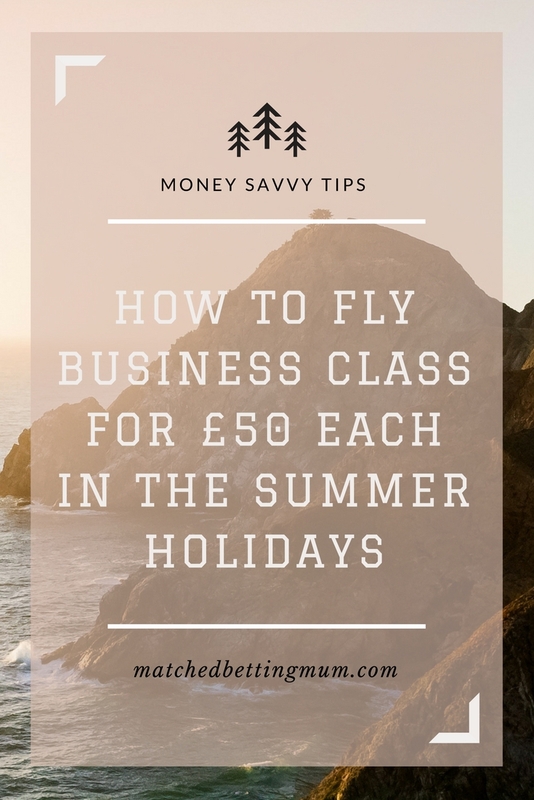 So how would you feel if you managed to fly your whole family out to Europe for £50 each? In the middle of the school holidays. At the most expensive time of the year. Oh, and you can all go business class too. That’s exactly what we’re doing in a few weeks when we head out to Cyprus. Here’s how. By the way, I’m not being paid and don’t get any money from any of the companies I’ve mentioned in this article. But everyone seems so amazed when I mention how much we’re spending on flights I felt duty bound to share this with you. Quite simply, we’re big fans of airmiles in this house. Over the past year, we probably earned about 60,000 miles. All without stepping foot near an aeroplane. To those in the know, this is travel hacking. Without thinking about it, we simply collect points on our everyday spending. These are then converted into points which, in turn, can be exchanged for flights. All you then need to pay is any taxes or fees. There are lots of different schemes for collecting airmiles. By far the most common is Avios, which is what we use. This post is therefore focused on collecting Avios points. These can be redeemed for British Airways flights. So, if you’re unlikely to be able to travel with British Airways, this isn’t for you. The first step to make the most of any Avios points you earn is to sign up to the British Airways Executive Club. This is open to anyone to join, and you don’t need to have flights booked either. Then sign every member of your family up too, including the kids! They will all then have their own unique membership numbers. Finally, make sure that you also set up a household account. This means that up to six people living at the same address can share and make use of your Avios points. By transferring most of your everyday spending to a credit card you can earn thousands of points. This, by far, is the biggest way to make Avios points. In the last year, we saved more than 40,000 points this way. And if you need more points, it’s easy to bolster your points by applying for new cards. This option will only be beneficial if you pay off the balance in full each month. All of these cards tend to have very high interest rates. If you don’t pay them off every month, you may well find yourself paying more in interest than you would save on flights . WHICH AIRLINE CREDIT CARD SHOULD I USE? There’s a full guide to the top airline credit cards over on Money Saving Expert. I’ve not recreated that list here, since the offers are constantly changing and I know that this is something Money Saving Expert are expert at keeping on top of. But they mostly offer you bonus points in return for spending a certain amount within a specified timeframe. They will also give you points on your everyday spending. Most of the best deals are associated with American Express cards. One of the drawbacks of this is that Amex isn’t always accepted at retail outlets. We’ve had our Amex accounts for several years now. Most high street names now accept Amex without any problems. The only real limitations tend to be in smaller independent shops, which simply can’t afford the high charges Amex has associated with it. In general, these cards are also more beneficial if you are a high spender. Personally, my husband and I share a British Airways Premium Plus Amex. We do pay a large annual fee of £195 for this. For us, this price is justified because it still saves at least £1000 every time we want to fly as a family in the school holidays. At the moment they are also offering 25,000 Avios points when you spend £3000 on the card within the first three months. In return, we earn 1.5 points for every £1 we spend. And we also get a companion ticket every year as soon as we spend £10,000 on the card. A companion ticket gives you one free worldwide return ticket (in any travel class) when you book another. So, for this year’s holiday, we only needed enough points for three of us to fly. If you’re likely to spend more than £20,000, there is a fee free version of this card. We use the card for all our everyday spending. All of our weekly shops, online shopping and petrol goes through the card. And we bolster the spending by putting all work and business expenses on it too. All of this then quickly adds up. We also boost our points by transferring all of our Tesco clubcard points into Avios points. You can choose to do this in your account settings. Every £2.50 voucher is worth 600 Avios. You should be aware that you can’t pick and choose how many clubcard vouchers to exchange for Avios. As soon as you sign up for your clubcard points to be converted, this will then happen automatically on your account. Since there are some great options for using your clubcard vouchers in everyday life, I would recommend you think carefully before signing up to do this. As we’re currently saving as many points as possible – to cover our summer flight costs & to go towards a special trip in a couple of years – it makes sense for us to collect these additional Avios points. In the last year, we earned 15,000 points this way. The final step is to create an account with Avios. This is separate to the Executive Club and is a way to earn additional Avios points through your everyday spending. Avios have links to more than 1000 brands. Simply by clicking through the links on Avios when you are making online purchases will earn you Avios points. This is an excellent option if you really need to give your airmiles a boost. I made 2500 airmiles in two months alone! These points are then transferred to my Executive Club account, boosting the total amount of points I have available. Unfortunately, you can’t also claim cashback from sites like Topcashback and Quidco if you make purchases via Avios. So you need to think carefully before using your Avios account. Ask yourself whether the other methods for collecting points will earn you enough points for the flights you need. If they will, you’re better off getting cashback on your purchases instead of using Avios. Since you need to pay taxes and fees, worldwide flights with Avios don’t offer great value. However, within Europe, British Airways offer Reward Flight Savers. Starting at 8,000 points for a return flight, the taxes and fees are capped at £35 for an economy flight. The number of points you need depends on the distance you’re travelling and whether the flights are on peak or off-peak days. The number of Avios points required for business class (Club Europe) flights is doubled, and there is a standard fee of £50. It’s debatable whether these are worth the extra number of points as the perks to travelling However, we had lots of points built up in our account. And I wanted the flight to go as smoothly as possible given we’d be travelling with a two-year-old for almost five hours! So that’s why we chose to fly business class this year. Book in advance. Economy seats to popular destinations go very quickly. British Airways release seats 11 months in advance. Many people book these up the minute they are released, especially for travel during August. If you’re prepared to do the same, you should be able to get the flights you want. Be prepared to be flexible. If you can travel on different dates or days of the week this will help. If there are no flights available keep checking the British Airways site regularly. They will periodically release additional flights depending on the numbers of seats they are selling for the same flight. Business class flights have a little more flexibility. We booked the flights up 10 months ago and there were still a lot of options available. If you can travel at short notice there may also be options available as British Airways will offer seats to Executive Club holders than can’t be sold. As we plan to travel to Europe for our holidays most years, collecting airmiles & Avios points is a no brainer for us. I hope this article helps if you’re considering doing the same. And feel free to get in touch if you’d like to know more about how you can do the same. 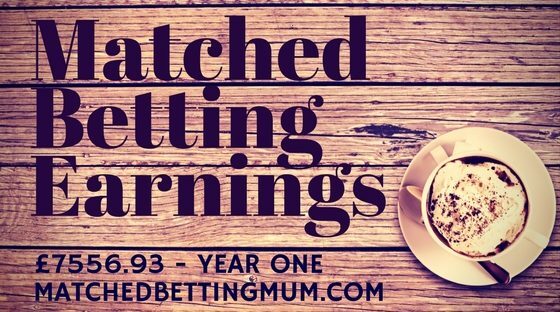 MONTHLY MATCHED BETTING DIARIES…1 YEAR ON! Regular readers will know I publish a monthly diary series setting out the amount of money I’ve made matched betting. The purpose is to show how easy it is to make this extra cash. And to provide a realistic insight into how much time I’ve been able to spare to do matched betting. 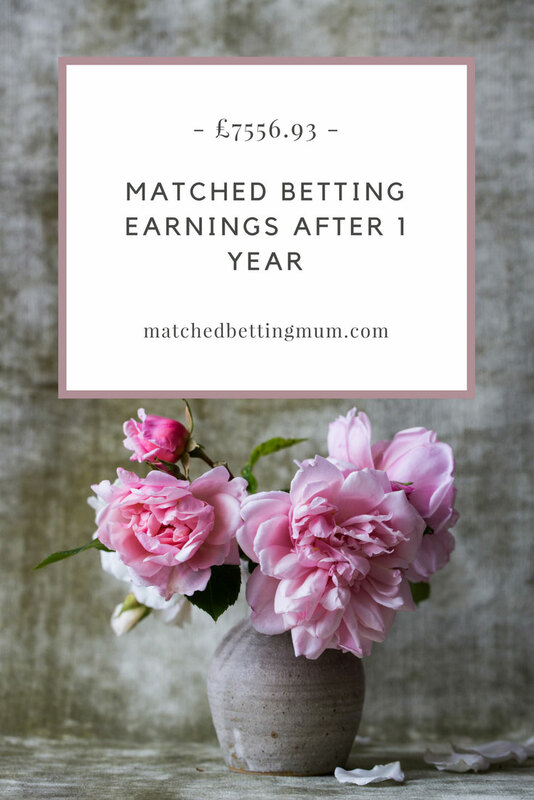 This month’s update is rather special, since it marks my first matched betting anniversary! This time last year I was hoping that matched betting might help me make some extra money. Ideally, I wanted to try and make £500 per month. However, I didn’t know how realistic this was. After the initial sign up offers, would I really be able to carry on making money through reload offers alone? I’m chuffed that I met this target three months early. So the money I’ve made matched betting recently has been a bonus. I wouldn’t have been able to make this money without the help of Profit Accumulator. The best way to describe them is as a matched betting support service. My Profit Accumulator review gives lots of information about the service they provide. Put simply, Profit Accumulator holds my hand through the entire matched betting process. They tell me which offers are available every day, how much money I’m likely to make, and what bets I need to place. This saves me the time and effort of doing this work myself! And looking after two young children full-time means I don’t have much spare time. In fact, I’m lucky if I can spare an hour for matched betting most days. Yet I regularly manage to make about £500 per month. The total amount I made matched betting in June 2017 was £400.17. With the football season coming to a close towards the end of May, I didn’t expect to make too much money this month. In fact, I set myself the very low target of £100 per month until the end of August 2017. The reason for this low target is because I rely exclusively on reload offers to make money matched betting. Most of these offers are connected to football matches. With no football to bet on, I didn’t think there would be too many offers available. So I am amazed that I made just over £400 this month! Once again, I had a lucky spell on a bingo offer. But I also made money from Royal Ascot and some one-off football matches. This is even more impressive because I’ve been focussing on this blog a little more in my spare time so also had two weeks off from matched betting. I probably only spared six hours per week at the most when I was matched betting this month. Once you are experienced at matched betting, it becomes quicker and easier to place bets. It is no longer cumbersome and really is very easy to fit in whenever you have a spare moment. This explains why I was able to make so much for relatively little effort! Making this money does take the pressure off somewhat for the next couple of months. This is fortunate since there are not too many high profile sporting events planned at this time of year. So there are fewer offers available. Judging by my experience so far this month, I don’t think I’ll be making too much money. But I’ll check in with you all next month nonetheless. So, in my first year matched betting I made £7556.93. I know there are lots of people out there who make an awful lot more than this. However, I do matched betting in my spare time around the children. At best, I can normally spare about six hours per week for matched betting. And my previous earnings reports – which you can see below – show it’s not always possible for me to do this. If you’re considering matched betting, I hope you find these diary entries helpful. They aim to provide a realistic overview of how much you can make from doing matched betting, and how. So how did I make that money? My experience shows that it’s possible to keep making money from matched betting long after completing all of the initial sign up offers. My guide to reload offers sets out the main type of offers that are available. Most of the money I make comes from checking the offers listed on Profit Accumulator’s website most days. I also follow the ‘How to Make £1000 a Month’ thread on Profit Accumulator’s forum so I am notified of new offers when they become available. These are the standard matched betting offers where you bet a certain amount and get a free bet. Considering I only did matched betting for about half of the month, I was really happy to make this much money. I was surprised by just how many offers there were connected to Royal Ascot. I’ve been to Royal Ascot a few times over the years and didn’t tend to come home with too much money. Although it wasn’t the same as being there, I definitely ended up with more money in my wallet by matched betting. Not all casino offers are risk-free. I tend to tackle the riskier offers when I’m confident of making my £500 monthly matched betting target. And I’ll only ever tend to risk a maximum of £25 at any time. 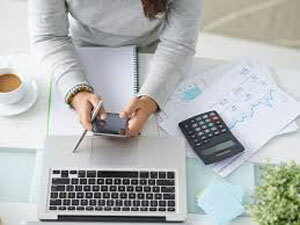 It’s helpful that Profit Accumulator crunch the numbers and offer advice about the amount of money you are likely to make and how to approach the offers. You shouldn’t rely on casino offers for making money. However, I use them to top up my earnings and am prepared to get involved in the riskier offers if I’m having a good month. As my previous diary entries will show, I have on occasions ended up down as a result of participating in these offers. There are lots of different offers linked to the outcomes of different football games. This includes: when the team you back scores a goal; hitting the crossbar; and losing your bet in the last few minutes of a game. There have been two very profitable offers recently where you can get extra earnings if your bet wins and there are more than 4 goals in the game, or where the team you back goes ahead by more than 2 goals. To maximise the amount of money you can make from these offers, you need a large amount of money in your bank to place high value back and lay bets. I’ve been weary of doing this as my normal betting stakes are quite low. I don’t want to stand out to the bookmakers, who could then limit my accounts very quickly. However, I have been gradually upping my stakes to take advantage of these offers. The football offers stopped in early June but I made sure I made use of the offers on the Champions League final at the beginning of the month. For the first time ever, I’m now eagerly awaiting the start of the new football season. I hope these profitable offers make a return too. These are riskier offers in that there is no guarantee of a free bet, so you will suffer some qualifying losses. I had a little bit of luck with the horse racing refunds this month and was happy to make some money after participating in a few different offers. Unfortunately, I also forgot I had placed a bet on one race so didn’t realise I had also won another £50 free bet! Mistakes like these can and do happen. Fortunately, I’ve become a lot more organised but could have kicked myself about this. Read my guide to the common mistakes you can make matched betting to help you plan how to avoid similar pitfalls. Accumulators can be a very lucrative form of additional income if you have enough time to place and track the bets. This guide to accumulator bets tells you how you can make money from these offers. Finding and placing these bets is very easy, thanks to the brilliant Acca Catcher tool Profit Accumulator have developed. I’m not placing too many accumulator bets at the moment, simply because the games are rather obscure. However, there was an opportunity to make some money when there were international matches. When the odds are low, it can be profitable to lay off all of the legs at the same time. It therefore doesn’t matter if the matches take place at the same time. I chose to take a risk-free opportunity to make more money if all of the legs won. However, as one of the teams I chose lost their match, I didn’t win so only made the small amount of money shown above. After my big win on a free bingo bonus last month, I didn’t expect the same to happen again this month. However, amazingly, I walked away from the same offer nearly £90 up! Regular readers will know I haven’t yet done too many bingo offers. I find it a little boring to be honest. For me, nothing can really beat sitting there with a dabber playing bingo for real. However, I know these offers can be quite lucrative. So I think it’s time to get a few more of these offers under my belt soon. Then I’d recommend signing up for a free trial at Profit Accumulator. They walk you through the matched betting process step by step. With only a few hours spare each week to do matched betting, I find the service Profit Accumulator offers invaluable. They tell me which offers to complete and help me find the bets. This saves me hours searching for offers alone. Instead, my time is focused on making money! My Profit Accumulator review has lots more information about the service Profit Accumulator offers. I love matched betting. It gives me a reliable source of extra income every month. And it’s given me the excuse to start this matched betting blog and share my knowledge. My monthly matched betting diaries present a fair assessment of how I manage to find time to do matched betting. But it’s difficult to present a full picture of what it’s really like to do matched betting in these diary snippets. I want people to be armed with as much information as possible to help them make a decision about whether matched betting is right for them. Once you become experienced, matched betting is a brilliant way of making some extra money from home. But it’s not for everyone. It’s a reflection of my own experiences after nearly a year of matched betting. It also reflects the experiences of those I know who do matched betting, some of whom love it as much as me, others who have stopped. I wouldn’t be wasting my time if there weren’t lots of pros to matched betting. But let’s deal with the downsides first. There’s no getting away from the fact that matched betting is a complicated subject. My guide to matched betting aims to break this down as simply as possible. Matched betting involves you placing bets which cancel each other out. Therefore, you don’t lose money. Instead, you just get your money back. As you use free bets given to you bookmakers, rather than your own money, this means you can walk away with the value of those free bets. As there are so many bookmaker offers to take advantage of, there’s lots of money to be made. But if you’ve ever tried explaining this to people, I’ve no doubt you’ve been met with lots of confused faces. I’m very happy to talk about matched betting with anyone I meet. However, I’ve no doubt that some members of my family are convinced I’m a secret gambler. This amuses me and I can brush it off. But it does mean there is an unfortunate taboo associated with the subject which may put some people off. Many people make in excess of £1000 per month from matched betting. I’m gutted I’m not one of them. I simply don’t have enough time – or flexibility – to do more. To earn this much you realistically need to spend at least 2 hours per day matched betting. You also need to be available for different types of offers at different times of the day. As a busy mum of two young children I’m lucky if I can spare an hour most days. It’s also difficult for me to dedicate any time to matched betting at the weekends, when the most profitable offers are available. I have working friends with children who have started – and then stopped – as they didn’t really have any spare time for it. If you’re busy, then it’s unlikely matched betting will be suitable for you. That said, my initial aim was to make £500 per month. I’ve worked out ways to manage matched betting as a stay at home mum, meaning I beat this target early! On a good week I can only spare a maximum of six hours for matched betting. This works out to me earning more than £20 per hour in my spare time. Not bad for jumping on the computer occasionally! Matched betting involves you using your own cash to place the different types of bets. Unless you are careful, it can be easy to make mistakes matched betting. My advice is to take it slowly and always double check your bets match the calculations. Although your money is not at risk, you do need an initial pot of money to start matched betting. That money isn’t at risk, but you need to use it in different accounts to cover the back and lay bets that need to be made. I started matched betting with an initial pot of £50. But it took me a few months to build up a pot that was big enough to be able to participate in any offer that I wanted to. This also meant I couldn’t really use the money I was making matched betting. However, I now regularly withdraw the money I make each month. It was frustrating not being able to use the money I had sitting in my different accounts. However, I knew I wanted to try making money from matched betting for as long as possible. I therefore considered it an investment allowing my matched betting pot to build up. If – like me – you want to do matched betting for as long as possible, then I’d recommend you build your pot up to at least £2000 before starting to draw down on it. Unsurprisingly, bookmakers aren’t too keen on you taking advantage of their offers. They regularly review betting accounts. If you only ever take advantage of offers and choose matches where the bookmaker and betting exchange odds are very close, then it is likely your accounts will be limited. This is referred to as being gubbed. It means you can no longer participate in their offers. Anyone who does matched betting dreads getting an email like this. It’s happened to me on a small number of accounts. I remember thinking my matched betting days were over as soon as I received that first email. However, when I reflected back on the amount of money those accounts made me, it was very small and these gubbings have made no impact on my overall income. That said, I now do more mug bets (where I attempt to look like a normal punter) to avoid similar limitations being imposed on other, more profitable, accounts. This might be an odd thing to highlight as a downside. However, several people I know who started matched betting simply aren’t that keen because they prefer to gamble. As you will rarely make more than the value of the free bet matched betting, some people simply prefer to take a chance at winning a greater amount of money. They like setting aside an odd £20-£30 each week to bet on some local horse races or put on a football accumulator. Gambling is not for me. That is why I like matched betting so much. It is satisfying seeing my income increase every day. Even though the amounts may sometimes be small, all those £5 free bets really do add up. Gamblers inevitably lose, which is why the bookmakers make so much money! That said, if anyone has a gambling or addiction problem then I would recommend they do not do matched betting. The bonus offers are there to entice people to gamble. I’m level headed and will never go that one step further and gamble my money away. But it can be tempting. This is particularly so with the casino offers. With massive prize pots on offer, the thought of spending a little bit more money in the hope of winning an elusive big prize is alluring. Don’t be sucked into this! If you think you have a gambling problem, or know someone who might, the National Gambling Helpline offers help and advice. Matched betting is not a get rich quick scheme. Unfortunately, it won’t make you a millionaire! But it is probably the quickest and easiest way to make extra money from the comfort of your own home. There are £2000 worth of sign up offers alone. So even if you don’t want to do matched betting for too long, it’s a brilliant way to get a significant cash injection. And once those initial offers have been completed, there are plenty of reload offers to help keep the money coming in. I reliably make around £500 per month on these offers alone. And many others make more than this. As well as bookmaker sign up offers, there are lots of casino offers to take advantage of too. And with these comes the chance of a big win! I was a little nervous starting these types of offers so I wrote an introduction to casino offers to help people like me. I’ve never had a big win, but I’ve managed to win a few hundred pounds and am hoping for something bigger one day. Of course, this is extremely unlikely so I would never carry on playing casino games on the off chance. But I’ve heard lots of stories of people winning large sums of money playing through these types of offers, so it’s always a possibility. Matched betting can be quite a lonely experience, especially if you are on your own at home. That’s why, if you choose to use a matched betting service like Profit Accumulator, their online support is a real bonus. Not only is the Profit Accumulator forum a great source of knowledge and advice, but there is also a great sense of camaraderie. Other members are very friendly, welcoming and helpful. And many members seem to have become good online friends through their shared interest in matched betting. When I first became a stay at home mum it was difficult to adjust to losing my regular income. I had for many years been the main wage earner, so it was a shock to the system suddenly to rely on someone else. While matched betting doesn’t replace my earnings, it gives me a tremendous amount of satisfaction that I’m once again contributing to the family finances. Significantly, it’s helped us to clear some debt that would otherwise be sitting & shifting between credit cards as the 0% deals come to an end. With prices on the rise and uncertainty about the economy, there’s no doubt people are feeling squeezed managing their household incomes at the moment. So it’s difficult for people to save towards anything big in their life. As long as you’re over 18 & in the UK, there’s no limitations on who can do matched betting. As I highlighted above, you do need a little spare time though. It’s difficult – but not impossible – to do matched betting if you work. If you can still spare a little bit of time in the evenings and at weekends, then there’s plenty of opportunity to make money. And if you’re lucky enough to have a little bit more time on your hands then matched betting is perfect for you. This means it’s ideal for students and retirees as well as stay at home mums and dads. I hope this post gives you an insight into the realities of matched betting. If you’ve tried it I’d love to hear how you got on. If you’re tempted to give it a try, don’t delay! Profit Accumulator is the biggest UK website aimed at guiding people through the matched betting process. My Profit Accumulator review will help you decide whether you might benefit from signing up to their service. They offer a free trial where they walk you through all of the steps involved in placing your first few bets. You can make £35 simply seeing whether matched betting is something that might work for you. This post sets out some pointers to find your way around Profit Accumulator’s forum. The forum is a discussion board for a wide range of matched betting topics. Using the forum is essential to help maximise the amount of money you can make matched betting. You can find my full review of the service Profit Accumulator provides here. The main reason I chose Profit Accumulator was due its large membership. With more than 20,000 active members, the forum benefits from their experience and expertise. As a result, the forum is Profit Accumulator’s biggest selling point. No matter how simple or complicated the query is, you can always find an answer to any question you might have. It’s a place that provides much needed support when you start matched betting. And it’s packed full of advice on different techniques and strategies you can use as you become more advanced. The forum layout is very clear so it is easy to find relevant topics. Every single offer has its own dedicated discussion topic. These are grouped according to what type of offer it is, for example a signup or a reload offer. An archive section also lists all of the discussion topics for offers that have expired. This is helpful if you need to refer back to different offers, for example if you want to check the terms for a free bet. It’s also possible to read back through entire topics to check the types of questions that have been asked. There are also wider sections where announcements are made, and offering general tips and advice. These might cover specialist subjects like how to avoid being gubbed and how to complete different types of matched betting offers. I also find it helpful to check whether offers sent to me via email are worth completing. As these are only available for limited numbers of people these types of offers aren’t always listed on Profit Accumulator. But if you post details of the offer on the forum, other members will advise whether it is likely to be profitable. The topics update in real time and you will receive desktop notifications when you choose to ‘watch’ different threads. The forum is backed up by a strong team of support staff and moderators. They ensure that no query goes unanswered. When you sign up to Profit Accumulator’s free trial you will get access to the forum topics for both the offers included in the trial. Before completing either of those offers, I recommend reading both those discussion threads. This will give you a good idea about the types of questions people have had and the type of bets people placed. I certainly found the answers to all the questions I had at first. Reading through the forum also gave me greater insight into how the offer worked. As I was still unsure exactly what I was doing at that point, this gave me the confidence to complete the first few offers. When you sign up to full membership (paying either monthly or annually) with Profit Accumulator you will get unlimited access to the forum. The forum will be an essential tool as you progress through the initial sign up offers. But the real value comes when you move on to reload offers. As well as checking the list of offers Profit Accumulator has on their main site, I also check the forum daily. This sometimes highlights other offers which are invitation only, lists price boosts and helps me find the best matches between the bookmakers and exchanges. I recommend you watch certain threads to help boost your matched betting income. When you watch a thread you will receive desktop notifications to alert you to a new message when you are online. Also, when you open up the forum you will see alerts to let you know what messages you have missed since you last logged in. You can also choose to unwatch different threads if you don’t want to follow them all the time. This is handy when you might only want to watch a thread for a limited time, for example to see if anyone finds a good match for a specific offer. In addition, I will also occasionally watch the extra places thread during popular horse racing events, like the Grand National, Cheltenham and Royal Ascot. It’s also possible to follow updates from the forum if you’re on the move. The Pushbullet app is available for all smartphones, and can be linked to the Profit Accumulator forum so that you never miss an update. This makes it easy to keep abreast of offers when you are out and about. It’s also ideal if you’re working but want to sneak in time for matched betting during a lunch break. Hopefully this post gives you a good introduction about how to make the most of Profit Accumulator’s forum. To find out more about the services Profit Accumulator offers then take a look at my in depth review or take part in their free trial to see if matched betting might be for you. Regular readers will know I publish a monthly diary series setting out the amount of money I’ve made matched betting. The purpose is to show how easy it is to make this extra cash. I’ve now been matched betting for 11 months. When I started out, my initial aim was to make about £500 per month from matched betting. I’m pleased to report I met this target nearly three months early. Anything I’m making until the end of June 2017 is a bonus. I wouldn’t have been able to make this money without the help of Profit Accumulator. The best way to describe them is as a matched betting support service. They tell me which offers are available every day, how much money I’m likely to make, and what bets I need to place. They hold my hand through the entire process which saves me the time and effort! And looking after two young children full-time means I don’t have much spare time. In fact, I’m lucky if I can spare an hour for matched betting every day. Yet I regularly manage to make about £500 per month. The latest update to my diary covers May 2017. I started out the month with a massive boost from a large win on a free bingo offer! This was great and meant that I could relax for the rest of the month. I had busy weekends planned with the family so was unable to spare any weekends to do matched betting. Meeting my new nephew and camping with the kids definitely needed to take priority! So I probably did matched betting a maximum of 3-4 hours per week this month. This is the reason my income from other offers was lower than I’d normally expect. That said, I was disappointed not to hit the £500 mark because I could have done this if I hadn’t made some rookie mistakes. I forgot to lay a leg on an accumulator which cost me £30 and forgot to use £50 worth of free bets before they expired. As this post shows, mistakes can and do happen! Rather than dwell on them, it’s best just to move on to the next offer to start making money again. With the football season drawing to a close this month, I also expect my matched betting earnings to decrease over the next three months. This is because most of the lucrative offers are attached to placing bets on football matches. I’ll be taking advantage by having a break from matched betting. However, I’ll still be looking to take advantage of any offers that are available. If I can £100 per month until the end of August 2017 I’ll be happy. So how did I make that money? My experience shows that it’s possible to keep making money from matched betting long after completing all of the initial sign up offers. My guide to reload offers sets out the main type of offers that are available. Most of the money I make comes from checking the offers listed on Profit Accumulator’s website every day. This is lower than normal simply because most of these offers were available at the weekends. I was out and about with the family every weekend this month which meant it was impractical to place any bets. It’s important to find close matches between the back and lay odds to take full advantage of these offers. As I didn’t have too much time to spare for this, I didn’t take advantage of too many of these offers this month. I did get lucky with more than £50 of free bets from a couple of offers. However, I forgot to use these because I was away camping. This the reason my earnings were lower than I’d normally expect. I only placed a couple of these types of bets this month so was happy to make this money. Accumulators can be a very lucrative form of additional income if you have enough time to place and track the bets. This guide tells you how you can make money from these offers. Finding and placing these bets is very easy, thanks to the brilliant Acca Catcher tool Profit Accumulator have developed. However, I struggle to then keep track of multiple accas when I have other plans. As most accas will be live at the weekends, this makes it difficult for me to get involved in these offers too often. I wanted to attempt a few this month. This involved me needing to lay some legs off whilst I was out and about. However, I forgot to do this on one match and ended up down by around £30. When the football season starts again in August, I’ll make sure I only place these types of bets when I know I’ll be available – and unlikely to be distracted! I rarely complete bingo offers. In fact, I have several introductory offers still to complete. While I’m a big fan of the occasional game of bingo, the computerised versions just don’t compare to having your dabber and desperately checking for your numbers. That said, I’ll always do any free offers that come along. Although I’ve never had any luck. Until this month! Somehow, I just kept winning whilst wagering through a small bonus I had been given. This was a brilliant boost for me and meant I didn’t really feel the need to attempt too many other matched betting offers this month. It’s also given me the impetus to make sure I complete the introductory bingo offers that are still available especially now it’s a quiet time for other matched betting activity. Then I’d recommend signing up for a free trial at Profit Accumulator. They walk you through the matched betting process step by step. With only a few hours spare each week to do matched betting, I find the service Profit Accumulator offers invaluable. They tell me which offers to complete and help me find the bets. This saves me hours searching for offers alone. Instead, my time is focused on making money! Read more about the service Profit Accumulator offers in my full review. It’s no secret that I love matched betting. It gives me a substantial amount of extra cash each month for very little effort. My aim through this website is to show how easy it is for anyone who has a little spare time to do this. Especially if you join a matched betting service like Profit Accumulator. But, for mums in particular, it can be a bit daunting getting started. And how can you manage it alongside full-time mum duties? I’ve been matched betting for almost a year now. My guide to getting started will help you take those initial cautious first steps. But, with two young children to care for, it’s not always easy to find the time to do matched betting. Reflecting on how I’ve managed things, this post summarises how I manage to fit matched betting in alongside family life. Everyone is different. So while this works for me, it may not work for you. But hopefully you can take something from this if you’re worried about how you can fit it in or are just starting out. Work through all of the initial offers slowly. You need to allow yourself about an hour for each of the first few offers when you start. Allow all of the bets to settle and track your money before moving on to the next offer. This will help you understand how matched betting works. The more bets you place, the easier it will be to understand. And the quicker the whole process will become. Place your first few bets when you know you’ll have a chunk of time away from the children. I completed most of the sign up offers in the evenings. If this is difficult, can your partner or a family member look after them for an hour or so? It can feel like a right slog when you first start out! The endless forms to complete, time spent finding bets and then double checking everything you’re doing can be a little soul destroying. And it’s likely you’ll question whether matched betting is really for you. But persevere! Within a few months you’ll be an experienced matched better. It now takes me next to no time to find and place my bets and it’s easier to squeeze in around the children than it ever has been! I now spend a lot less time matched betting, but for far greater rewards. Before I started matched betting, any spare time I had tended to be used doing the housework or looking at my phone for the latest Facebook updates. Now I squeeze in time for matched betting whenever I can. The result is that I do struggle to keep on top of the cleaning. But I’ve never really needed an excuse to avoid that if I’m being honest! I found the initial sign up offers more time consuming than the reload offers. So I tended to place these bets in the evenings or on an odd day when a grandparent might have had the children. I’m lucky that my son still likes his sleep so I’ll often have an hour or so most lunchtimes to check the current reload offers available. I’ll have a good browse of all the offers and place any relevant bets then. Many casino offers have large amounts of wagering attached to them. I’ll normally complete these whilst I’m doing the ironing or cooking dinner. That way, I’m available to activate bonus rounds without having to spend hours sitting in front of a computer. It also has the added advantage of making these chores much more interesting! If the time you have available for matched betting is limited, it’s important to accept you won’t always be able to get involved in all of the offers available. Instead, set yourself a realistic target for the amount of money you would like to make which correlates to the amount of free time you’re likely to have. As a rough guide, you should be able to make up to £500 per month if you can spend a few hours each week matched betting; £1000 per month if you can spare about 2 hours per day; and £1500 based on 3 hours per day. I have about 6 hours per week available for matched betting and I aim to make about £500 per month. I’ve made more than £5000 in 9 months so this is definitely achievable. My monthly matched betting diary series will show you how I’ve made this money. There tend to be fewer offers available earlier in the week. As it’s unlikely I’ll complete any offers then I’m more likely to arrange trips out for the day at these times. If I’m short on time but see offers available for a future date I’ll often put them in my diary to remind me to come back to them at a later point. Weekends can be the most profitable for matched betting. But I struggle with this because that’s our family time. The family will always take precedence. That’s not to say I’ll never place any bets at the weekend; I simply have to manage it quite carefully. Most of the available offers will be advertised a day or so before. Therefore I’ll often place any qualifying bets on a Friday evening. If I know I’ll be around the house or will have internet access then I take advantage of in-play and accumulator offers at the weekends. But I don’t bother with these offers if I think they might interfere with my weekend plans. If, like me, your time is limited at weekends, then it’s important to accept this will affect the amount of money you are able to make. This weekend, for example, is the last one where football offers will be available for some time. However, I’m out and about with the children and simply won’t be able to take advantage of the potentially more profitable offers. This will mean my earnings will be lower than normal. As simple as matched betting is, it is easy to make mistakes. Experience tells me that this is more likely to happen if you have little children vying for your attention at the same time as you’re placing bets. So I now avoid this! This guide about the most common types of mistakes you can make matched betting will help you avoid mistakes and limit their impact. Profit Accumulator’s forum is its biggest selling point. With more than 20,000 active members, it’s a very helpful source of advice. I’ve found answers to all of the questions I’ve ever had about matched betting, simply by using the search function. And it’s full of tips and tricks to help maximise your matched betting income, saving you more time! Each offer has a dedicated section on the forum, and staff and fellow members will reply quickly to any queries or questions you might have. Using autofill on your computer makes light work of all the forms you need to complete when signing up for new bookmakers accounts. Use your calendar and set reminders on your phone to keep track of your bets. I find this particularly useful when I have accumulators running or need to place some bets in-play. Don’t forget to keep track of all your bets and the money you’re making! This blog post tells you what information you’ll find it helpful to record. I’m an old fashioned girl and love any excuse to buy a new notebook. So I use the traditional pen and paper method. But there are plenty of spreadsheets to help too. If you only have a very limited amount of time to do matched betting then it’s essential that you sign up to matched betting service like Profit Accumulator. This means I get up to date information about all of the latest matched betting offers in one place, with access to software to help me find and calculate my bets. You can read my full review of their service here. I chose to join them because they are very competitively priced and have the largest online community, which provides invaluable support. I hope you find these tips useful. If you need any support or have any questions then please do leave a comment. Or you can contact me via Facebook or Twitter. Every month I provide a breakdown of the amount of money I’ve made matched betting. The purpose is to show how easy it is to make this extra cash. I’ve now been matched betting for 10 months. When I started out, my initial aim was to make about £500 per month from matched betting. Looking after two young children full-time means I don’t have much spare time. So I did wonder whether it was feasible to make this amount of money in the odd hour or so I can spare each day. I’ve fallen short of this target only once. And the amount of money I’ve made in other months has more than made up for this! I rely heavily on using a matched betting service called Profit Accumulator to help me make this money. They tell me which offers are available and how much to bet in order to make the most amount of money. This saves me so much time! The latest update to my diary covers the month of April 2017. I’ll summarise it as my lucky month. With the Easter holidays in full swing for the first couple of weeks, we had lots of trips out and time away planned. So I didn’t really do any matched betting. I made an exception during the Grand National, as I wanted to try out a new matched betting method. I was very lucky that this made me more than £300 that day alone! Combined with a reasonably big casino win, this meant I could relax and have a break for the rest of the month. My earnings were therefore largely down to luck this month. This is very rare for me, though, and I’m confident that if I had been taking advantage of all the offers available then I could have easily made more than £1000 this month. The total amount I made matched betting in March 2017 was £748.43. This is lower than normal simply because I didn’t get involved in as many offers as I normally would this month. I got lucky this month, making more than £100 on a low-risk slot offer sent to me via email. It was an offer which offered me a refund up to £10 on any losses. Working my way through this, I got lucky and hit a large win. Although I didn’t get any refunds this month, I limited my losses by using a technique called underlaying. This meant I bet less than I should have on the exchange. If the horse had won and I received a refund, then I would have made less from the free bet, but this limited my inital outlay. Underlaying is an advanced technique and I would recommend following the advice given by Profit Accumulator before trying this. This was a new type of offer I got involved in this month to try and make money from the Grand National. Regular readers will know I normally have a flutter on the Grand National. We normally spend around £50 in total. This year, we decided to use that money as part of my matched betting pot for the day. Normally, when you place an each-way bet you are betting on your horse finishing in the top 3. Occasionally, bookmakers will also pay out on an extra place, so the top 4 places instead of the top 3. You can make money from these offers if your horse finishes in that 4th place because the betting exchanges will only cover the first 3 places. Therefore, if the horse finishes in 4th, your bet will win at both the bookmakers and the betting exchange. I’d been keen to try out this type of offer for a while. But normally there are large qualifying losses, so it’s not worth taking part. As it’s such a prestigious event, the Grand National is an exception. I planned to try and cover all of the horses running in the race to ensure I would make money. With a field of 40 horses, this was quite a task and involved me glued to the computer screen for much of the day. In the end, I didn’t cover 3 horses and I preyed that none of them would finish in that extra place. This was a gamble and would have involved me losing around £50. As highlighted above, though, I had planned for this by using the money I would have otherwise bet on the race. Still, after a day’s work, I felt sick as the race started because I didn’t want all that hard work to go to waste. Luckily, an outsider horse finished in that extra place, making me £335 instantly. It was great to make this money. On reflection, though, I wouldn’t recommend my approach and I won’t be repeating this again. Instead, I would rather minimise my initial qualifying losses and take the chance on the odd one or two horses I select finishing in that extra place. Although matched betting is risk-free, I have highlighted before that it is easy to make mistakes. Recently, I’ve avoided any mistakes. But, this month, I made a minor error forgetting to lay the second part of an accumulator price boost. This meant I was £20 down instead of an extra few pounds up. I kicked myself and am getting better at using my phone to set reminders to place different bets. This post should help you understand the most common types of mistakes you are likely to make and how to avoid them! I need to open this latest update to my monthly matched betting diaries with an apology that there haven’t been any updates from me for a while. It’s been a chaotic couple of months so I’ve barely had time for matched betting, let alone updating everyone about how things are going! But I’m back now and there’s lots to tell you all about. Most notably, Profit Accumulator has had a little bit of shake up and so it’s now cheaper to join and jammed packed with lots of extra features. Check out my updated review of the service they provide if you’re wondering whether it’s worth signing up. Profit Accumulator has had a little bit of a shake up and so it’s now cheaper to join and jammed packed with lots of extra features. This latest instalment covers my matched betting earnings in March 2017. This was when the Cheltenham horse racing festival took place. Often touted as the highlight of the matched betting calendar, I was excited about the potential to earn lots of extra money this month. I wasn’t disappointed: I made £360 in the 4-day festival period alone. As I knew there would be lots of extra offers available, I planned to have extra help with childcare at this time. This allowed me to do matched betting for about 2-3 hours each day of the festival. After Cheltenham, illness hit the family (again…one of the perils of a young family!) and so I wasn’t able to do as much matched betting as I normally would. On a good week I can normally spare about 6 hours for matched betting but I wasn’t doing any matched betting at all by the end of the month. Luckily, my Cheltenham earnings meant I was still able to hit my £500 monthly target comfortably. The total amount I made matched betting in February 2017 was £688.31. When I started matched betting my aim was to make roughly £500 per month. Yet I’m on track to beat this target over the course of my first year matched betting. The main benefit to matched betting is that it allows me to make a little extra tax-free money each month for very little effort, at times that fit around my children. I was overwhelmed by the number of offers available linked to the Cheltenham festival, and made most of this money in that short space of time. There were quite a few free spin and risk-free offers available this month linked to the Cheltenham Festival, which meant I was able to make a little bit of extra money largely risk-free. I do find accumulator bets quite time consuming so didn’t have time to complete a great amount this month. I had also lost money through high qualifying losses in the last few months, so was weary of completing too many. However, I completed a few risk-free ones this month. These guaranteed me profit if all the legs won. These all came in, so revealing just how easy it was to make extra money this way. My guide to accumulator bets has been on my to do list for a while now. As Profit Accumulator now offer free software to help you complete accumulator bets more easily, it is a priority for me to complete this guide for you all as soon as possible. I will publish this soon, I promise! I didn’t have a great deal of luck this month, in spite of there being more offers available through Cheltenham. But I was grateful to make even the small amount of money I did.